What will happen when these giants collide depends on which galaxy’s packing the most weight. 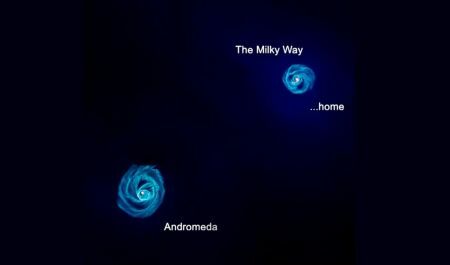 “We discovered the weight of Andromeda galaxy is almost on par with the weight of the Milky Way galaxy,” Prajwal says. This smaller estimate doesn’t mean the galaxy contains fewer stars. 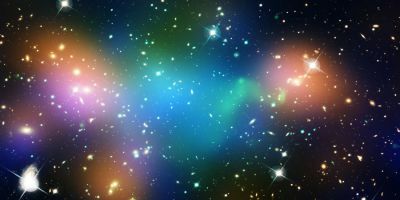 Instead, we’re reducing how much dark matter we think it contains. 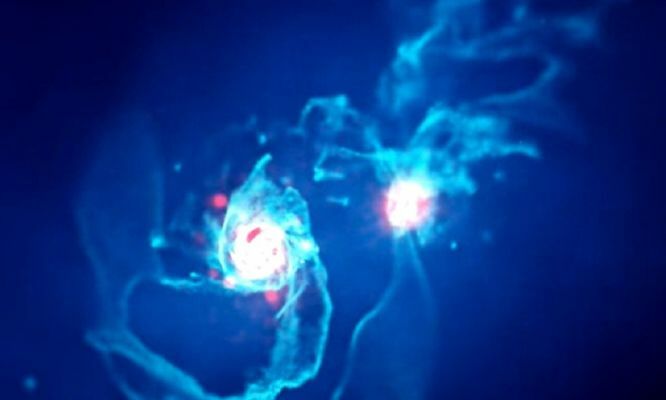 Dark matter is a mysterious invisible contributor to a galaxy’s weight. We don’t know what it is, but thanks to US scientist Vera Rubin, we know it’s there. “Vera Rubin established the existence of dark matter in the 1970s,” says Prajwal. She worked out that what we can see of the Andromeda galaxy simply isn’t enough to cause the gravity we know is acting on the system. 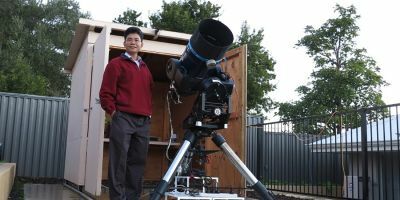 To work out how much a galaxy weighs, you can calculate how fast you’d need to travel to escape its gravitational pull. The higher the speed, the greater the gravitational pull. The greater the pull, the heavier the galaxy. To escape the Milky Way, you’d need to be travelling at 550km/s. This means our galaxy weighs in at around 800 billion times the mass of our Sun. What doesn’t change is the inevitability of a clash between the Milky Way and Andromeda. And what exactly does it have to do with the moon?